⚙ D1045 Outliner. Crash while changing library link when its name doesn't match a search pattern. Outliner. Crash while changing library link when its name doesn't match a search pattern. Authored by Campbell Barton (campbellbarton) on Jan 30 2015, 12:05 PM. Link some object from another file. 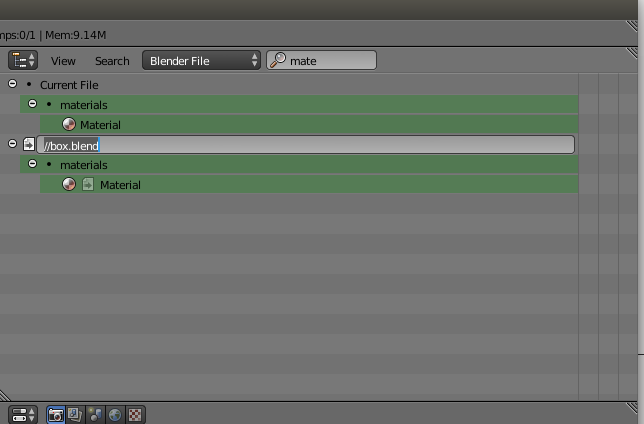 Go into outliner and type some pattern that matches some linked sfuff and doesn't match library path. Alexander Romanov (a.romanov) retitled this revision from to Outliner. Crash while changing library link when its name doesn't match a search pattern. .
Alexander Romanov (a.romanov) added a reviewer: Joshua Leung (aligorith). Alexander Romanov (a.romanov) added subscribers: Yuri Kovelenov (yurikovelenov), Evgeny Rodygin (Evgeny_Rodygin), Dontsov Valentin (valentin_b4w), Alexander Kovelenov (AlexKowel). would need to check on this, perhaps the filter could always display items which are being edited? Campbell Barton (campbellbarton) edited reviewers, added: Alexander Romanov (a.romanov); removed: Campbell Barton (campbellbarton).